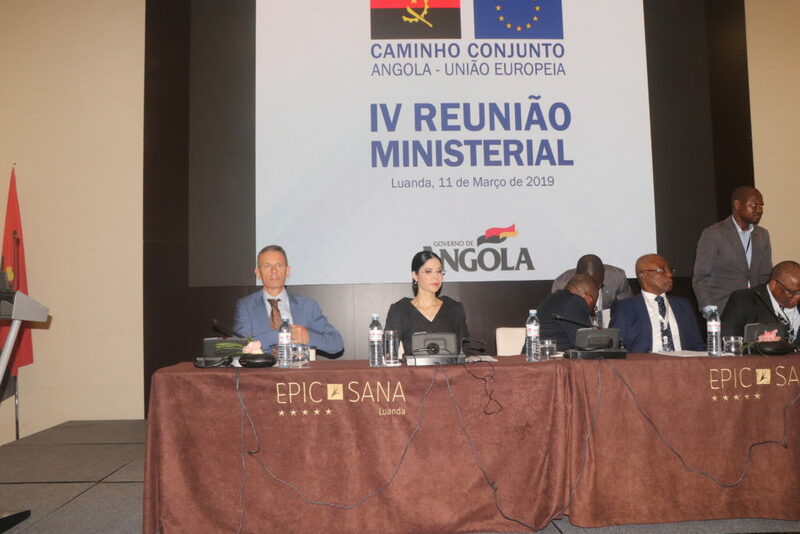 As the provider of the Technical assistance to the National Authorising Officer of the European Development Fund in the Republic of Angola project, Linpico supported the implementation of the Fourth Ministerial meeting on 11 March 2019 in Luanda. It was organised under the EU-Angola Joint Way Forward (JWF) agreement, a framework for dialogue and cooperation based on common interests and shared values. The Ministerial talks covered a broad spectrum of issues: economic cooperation, sustainable development, governance and human rights, multilateral and global challenges such as peace, security and climate change. This meeting, was co-chaired by the Minister of External Relations of the Republic of Angola, Manuel Domingos Augusto and the Minister of Economy and Planning of the Republic of Angola Pedro Luís da Fonseca on the Angolan side and on the EU side by the Vice Prime Minister of Romania, Ana Birchall, representing the High Representative of the Union for Foreign Affairs and Security Policy. The participants reiterated their full commitment to maintaining the Joint Way Forward as a forum for constructive dialogue and cooperation based on the principles of mutual respect, openness, democracy, rule of law and transparency. Such a partnership can allow a fruitful cooperation with a view to tackle internal and global challenges in the interest of both Angola and the EU. The participants welcomed the already achieved adjustments of the instruments put at the disposal of the partnership with the adoption of a Dialogue Facility and of an Economic Governance programme, in line with the Government of Angola’s ambitious reform agenda. They agreed on the need to make full use of existing instruments in order to enhance cooperation in the economic and social fields, but also in the peace and security area, in line with agreed global, continental and regional mechanisms contemplated in the EU-Africa Partnership. The Joint Way Forward should also continue to offer a privileged forum for high-level dialogue and concrete cooperation activities on good governance and human rights related issues, by using all the instruments available. The participants agreed that the next Senior Officials and Ministerial meetings will take place in Brussels during the second semester of 2020.